Cannabidiol or CBD is the major component found in the cannabis plant. THC or tetrahydrocannabinol is the other infamous molecule but CBD is termed as the non-psychoactive ingredient. This means that one is not expected to go “high” with CBD but this component is found to be medically very important. CBD is consumed in the form of oil. CBD oil is extracted from cannabis plants having high CBD values. Most of the CBD found in the market is found as hemp plants. These plants are least processed and not selectively bred by the farmers and are used to extract CBD oil. Cannabinoids work by forming a lock and key interaction with certain cannabinoid receptors on the cells. These receptors are of different types and are found all over the body depending upon its type. THC binds to the CB1 receptors and is thus known to create the feeling of high as it is a psychoactive compound. The other type of receptors is CB2 which is found in the immune system. They are known to affect the process of inflammation and pain. CBD enters the ECS system to balance the system as it has the same effect on the system as the endocannabinoids. Also, it attaches itself to a different receptor site as the THC and thus brings about homeostatic regulation. CBD was found by the parents of an epileptic child, Charlotte, who was diagnosed with a rare syndrome called Dravet syndrome. These children are having intense and frequent seizures. After trying many medical options, her parents resorted to and found CBD as the magic plant. This helped to cure her epilepsy and cannabis plant made headlines for positive reasons in the year 2013. Does CBD Attach to other Receptors in the Body? The answer to this question is yes! CBD has diverse and far-reaching effects. It is also known to attach to other receptors and bring about connected results. Here is a list of the receptors with the effects. While cannabis was dreaded earlier, the newly found therapeutic wonders have brought it to limelight in the medical world. It is indeed a bliss ingredient, a polypharmacological compound, which acts through a number of pathways in the body. Every interaction is unique and brings about different results. Patients are found to have gotten rid of many medical conditions and diseases after using this drug. Here is a list of the conditions/ diseases. Where can you get CBD from? The thing to keep in mind while buying high CBD strains is that they may contain THC as well. THC is a well-known psychoactive ingredient. Vaping is the name given to inhaling and exhaling the vapors of a compound added to an electronic cigarette. The whole idea is to shift from smoking tobacco cigarettes (which are menacing to health) and converting to harmless alternatives. Vaping CBD extracted from the hemp plant can be a good idea here because of its immense therapeutic benefits already described above. CBD vape oil or vape juice, extracted from the Cannabis plants, does not have any psychotropic effects on the nervous system. CBD oil is concentrated from the cannabidiol plant. It is then heated and vaporized or used through an electronic cigarette, vaporizer pen. There is a difference between CBD vape and hemp oil. The hemp oil has some amount of THC in it responsible for creating the feeling of psycho-activeness. 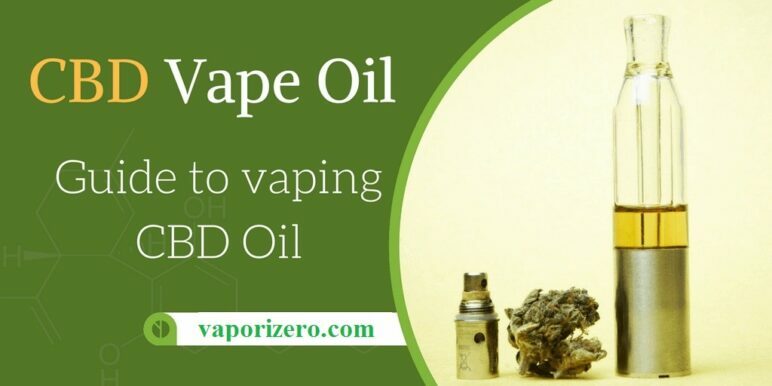 The CBD cape oil specifically designed for the purpose of vaping is a recent trend. The oral tinctures present earlier were meant for therapeutic and medical purposes and not for vaping. The newly introduced CBD vape oil is not a true oil. This is known as the CBD vape juice, also as an electronic liquid. This is specially designed from the industrial derivative of the hemp for the purpose of using in vaporizers. It is known to have negligible amounts of THC which is 0.3 percent. Here is a list of some hand-picked CBD vape oils. To conclude, CBD might be a therapeutic wonder which has opened newer horizons, it has also engaged millennials in a new-found trend.